Construction for a "marine tourism" zone in North Korea is becoming a burden on ordinary North Koreans who are being taxed to finance the project. The plan to convert parts of Wonsan, a port city in North Korea's Kangwon Province, into a resort began recently, Radio Free Asia reported. A North Korean source in North Hamgyong Province told RFA earlier this week the "central leadership," meaning Kim Jong Un, has made national construction a main goal. As part of this goal, North Korea wants to build an "international tourist destination," the source said. The apple of Kim's eye might be the planned "Wonsan maritime tourist zone" or district, the source said. To meet the needs of construction, the regime has issued a "mobilization order" and has imposed a new construction tax. Local-level North Korean cooperatives, organized by neighborhood across the country, have been asked to donate manpower and financial support for the construction of the marine tourism zone, according to the source. In the city of Chongjin, each household has been asked to donate about $1 for the tourism drive. A source in South Hamgyong Province said people were informed that, though the building of the resort area will entail billions of dollars of investment, the country will earn back the money in higher numbers. North Korea previously allowed South Korean tourists to travel to Mount Kumgang in Kangwon Province, but it is not clear whether South Koreans will be allowed to travel leisurely to the country. 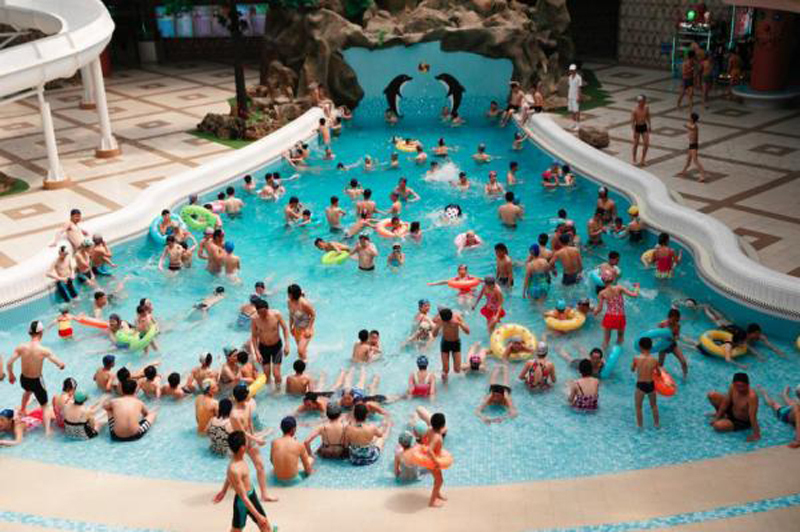 North Korea has previously announced a goal to draw 1 million foreign tourists annually. The recent inter-Korea summit has also had a substantial impact on South Korean tourism to the Korean demilitarized zone. South Korean newspaper Munhwa Ilbo reported Friday visitors to the South's side of the DMZ are up by about 30 percent, year on year, for the first week of May.